In February, I am about to give a lecture in UK. Right after that lecture, I will leave UK. Six months later, I will attend my friend's wedding in London in July. 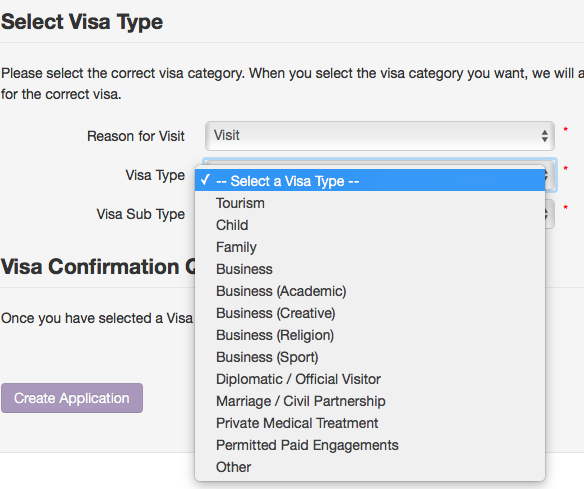 I was suggested to apply to the standard visitor visa. I have the following three questions. Thanks in advance. 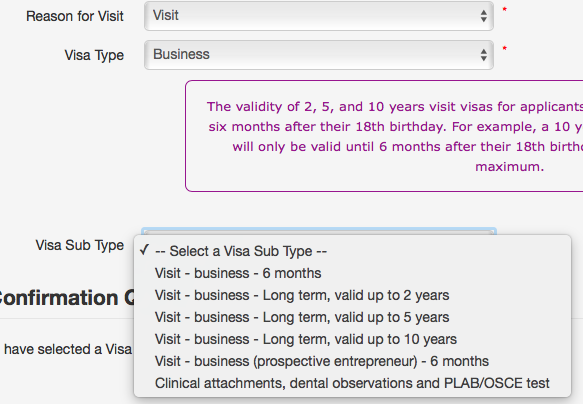 In the Visa4UK application system, I cannot find the so called "standard visitor visa". After selecting "visit", I still need to select among different types. The first question is that shall I choose "Tourism" or "Business", or it does not matter. Suppose I choose "Business". The second question is that shall I choose "6 months" or "Long term"? I will have two visits in the predicted future. Each visit will not exceed one week. I asked because I am not sure when will the VISA expire, and whether or not the VISA allows for multiple entries. The last question is that shall I provide details for both visits or simply the first one. Nice observation! This is a 'known problem' within UKVI that the online form did not sync up after the rule change last April. Regardless of what you enter, your application will be considered against Appendix V of the rules and if you are successful, you will receive a 'standard visitor visa' (or to be exact, 'entry clearance'). Both options amount to the same thing. You can select the one that states your case best if you want. The second question is that shall I choose "6 months" or "Long term"? They will issue you a 6 month visa regardless of what you choose. Qualifying for a long-term visa is a difficult ordeal requiring a lengthy history of travel to the UK and an on-going premise. Two visits does not qualify as a premise. Note: they will keep the difference in fees. Provide all the details. For a start date, select the date for which both events are in the same 6 month period and explain both events. If both of your planned events are not in the same 6 month window, you will have to make two applications. They will not, for example, issue a 7 month or 8 month visa. Note: UKVI may fix this problem on their site next May. Or they may not. Not the answer you're looking for? Browse other questions tagged paperwork chinese-citizens standard-visitor-visas or ask your own question.